If you’re running your business empire from your home, you already know how tough it can be to divide your living space from your office space. Many home business owners like to keep these two spaces separated in order to show their dedication to both parts of their life. 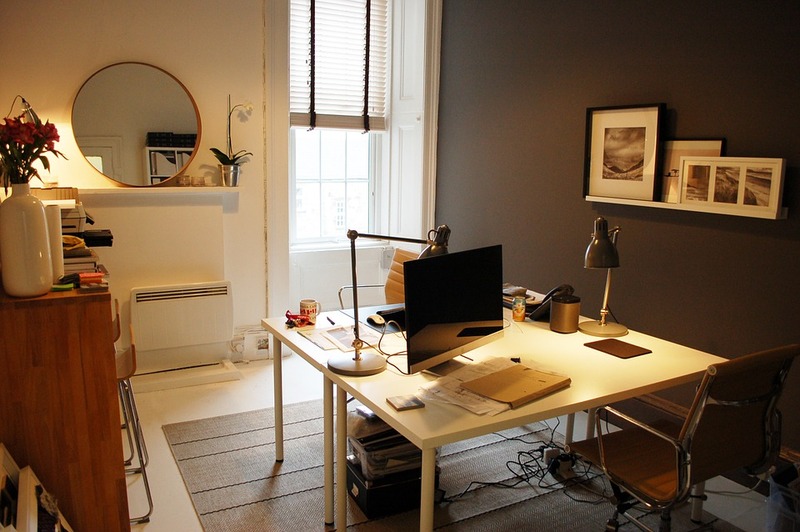 A home office should be a space dedicated only to work and it needs to be in accordance with the type of work you do. That will show how professional you are and accentuate your effort in making your business thrive and become more successful. The main thing you need to keep in mind is that you need to try to create a balance between making yourself comfortable and creating a space worthy of having clients. Your furniture needs to be the focal point of your office and you need to think about this space as the area where you plan on having meetings too. The choice of furniture will depend on the type of work you do and how often you meet with your clients. This is something you need to think through carefully because sometimes meetings are crucial for closing a deal. Your potential clients need to feel comfortable, and this will strongly depend on your seating area. You can create two designated spaces – one at your table where you’ll be able to sign contracts and work on the papers, and another where you’ll be able to negotiate and talk about different strategies. If you want to add some fresh air into your office space, you’ll need to introduce something more powerful than an air purifier. Being near natural elements, you’ll feel more fresh and productive which are two key elements if you want to stay on top of all your tasks. It’s also said that having plants in your home or office can really help you with stress relief and keep calm during long working hours. Apart from that, plants will also uplift the look of your office space and make it seem more professional and organized. Not only do they look great, but they’re also a nice way to open up space and make it more welcoming. Don’t worry if you’re not keen on taking care of plants because there are many types that require almost no maintenance yet still look great. The first thing your clients will see is the entrance to your home office and if you have a separate door, you need to make sure it reflects your skills. Think about installing quality entrance doors that will show your professional side right from the beginning. Take care of the entrance and remove all the unnecessary items you have around the door too. In order to show how serious you are about your business, add a door sign that will have your name, your company’s name, and other important information. This will show your clients that you’re serious about keeping everything professional, even though you’re working from home. You’ll probably have to deal with lots of clients, so a simple yet effective setup will be needed. If you want to make things professional, you should install a whiteboard that will help you hold presentations and show your portfolio to potential clients. Apart from that, this helpful addition will show how eager you are to show your clients what you have to offer and how many ideas you have in order to make your transaction successful. Make sure you create a designated area for having presentations and a seating area pointed towards the whiteboard, so your clients don’t have to move around during your presentation. 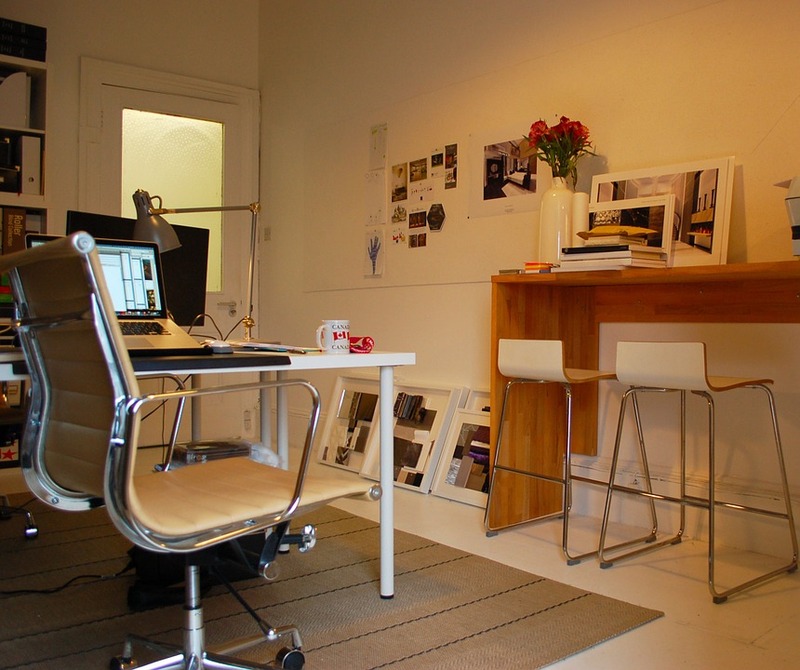 Your clients will see just how serious you are with your work simply by looking at your work area. That’s why you need to stay on top of everything, especially when it comes to having an organized space with no clutter. This starts with your desk, which is something where you actually do most of your work. Make sure you have enough storage space around your desk in order to avoid spreading all your documents across the desk. Create a filing system that will help you know where every paper is without going through all the files during your meetings. This can be a great way to organize your storage space and store all the important documents. Having a home office means you’ll have to work on a number of things at once, but it will all pay off once you understand all the benefits you’ll gain from working from home. Consider organizing everything before you have your first clients over for a meeting, just to make sure everything’s in order. After that, you just need to work on getting the job done and staying focused on building a strong franchise.